Grover bed and breakfast travel guide for romantic, historic and adventure b&b's. 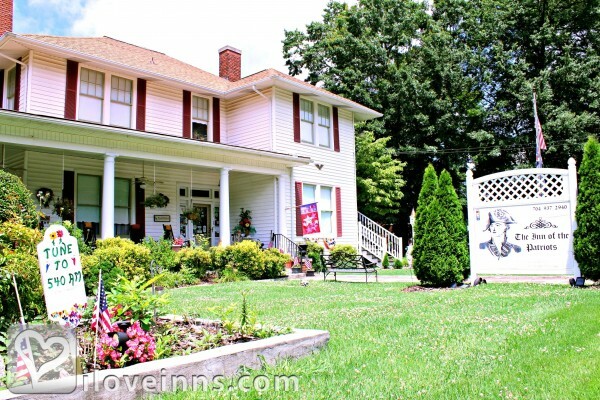 Browse through the iLoveInns.com database of Grover, North Carolina bed and breakfasts and country inns to find detailed listings that include room rates, special deals and area activities. You can click on the 'check rates and availability' button to contact the innkeeper. The number one reason guests visit is to see the Kings Mountain National Military Park. Run by the National Park Service you can see live revolutionary war actors firing cannons, muskets and rifles. You'll also enjoy seeing the History Channel movie theater which showcases why President Thomas Jefferson credits this battle with being the turning point of the entire revolutionary war.Many guests love the peaceful walk on the 1.5 mile battle trail showcasing the various monuments and critical combat moments - via a new cellular phone tour. The refreshed, digital museum is quite interesting and informative as you walk around an indoor forest of massive trees. Millions of guests have been elated to find something new and exciting to enjoy, that they have not previously been to.You'll find the world's largest man-made river at The United States National Whitewater Center where the Olympic team trains and you can enjoy Whitewater rafting, war canoes for the family, rock-climbing, the mega jump, dining, thousands of feet of zip-line, obstacle courses and live entertainment! Try the basic rafting and then go Olympic!Or visit the largest android and robot factory ever built in history holding 14 world records at the BMW test driving facility and manufacturing plant. The tour held here has been featured globally in the news. By The Inn of the Patriots Bed and Breakfast Hotel.